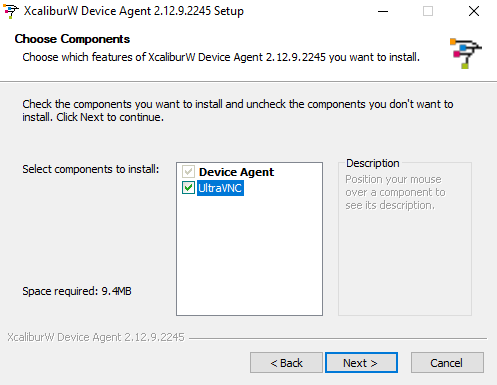 On Windows, launch the installer by double-clicking the Xcalibur W Device Agent Installer. For manual installation, please refer to the Advanced Section. 1. 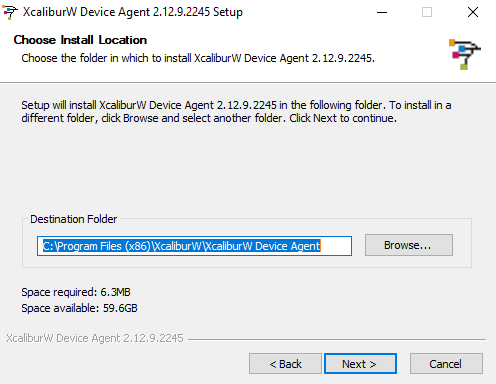 Launch Xcalibur W Device Agent <your.version> Setup.exe. 3. 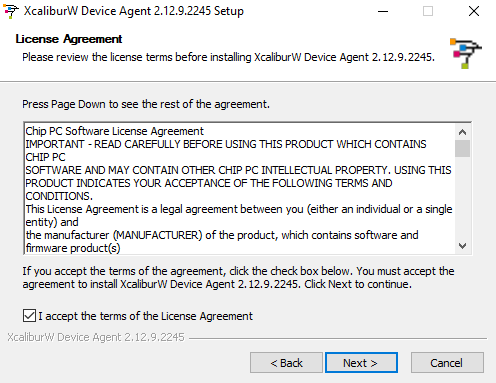 Read the terms of the License Agreement, then tick I accept the terms of the License Agreement. 5. Select the installation directory and then click Next. 6. Install TightVNC to allow remote assistance. Tick TightVNC, then click Next. 7. 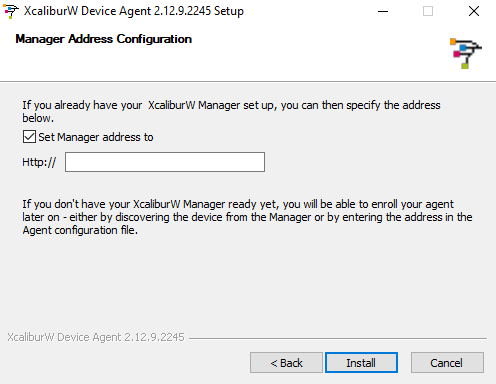 The Xcalibur W Agent can have a Manager Address directly into this installation. 8. After installation, select whether to reboot now or later, and then click Finish. Xcalibur W Agent is now installed on your device! For Linux, Xcalibur W Agent supports installations on Ubuntu 12.04 and Ubuntu 14.04. All the commands below must be executed with root privileges. You may want to force the update of the entire linux package library using the command below. Note that all linux packages will be updated, which may affect the functioning of existing programs requiring older package versions. To finish the installation, restart the device. Xcalibur W agent is now installed on your device !